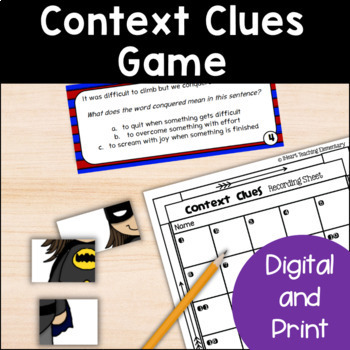 Do you need engaging context clues activities? My class loves this one to help them practice figuring out the meanings to unknown words using context clues. The students need to help the Superheroes get their power back! The only way to do this is to solve all the task cards. There are 30 of them in this pack! 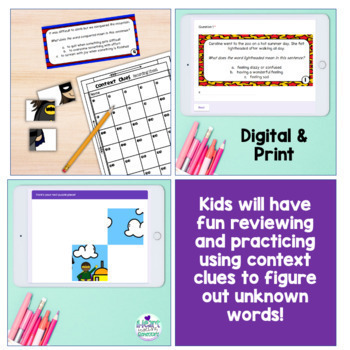 The words are geared toward 3rd grade level but can be used with 2nd and 4th depending on student level. 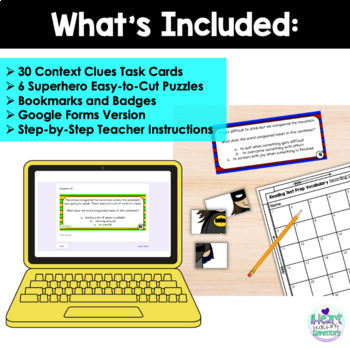 I've included everything you need for this activity including instructions with pictures and answer key. Check out the preview for all that is included. The only thing you'll need to do when you do the activity again is print the recording sheet. Everything else can be used again and again!